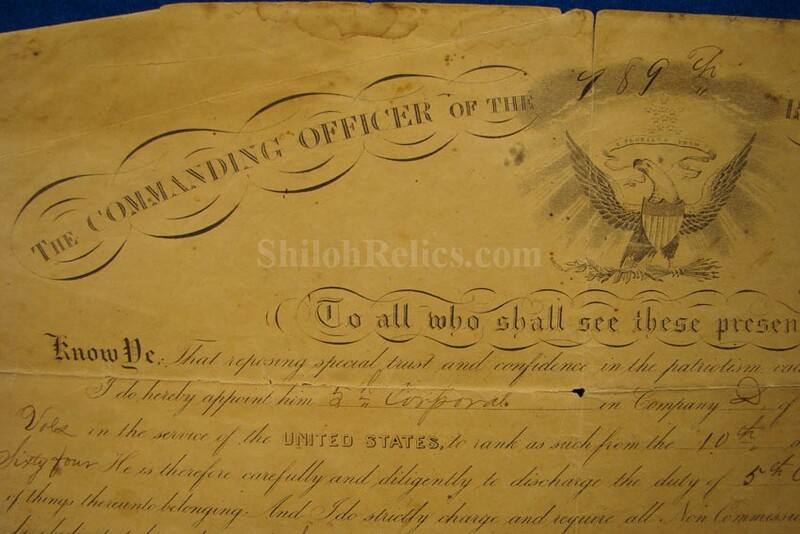 Here is a nice original Civil War appointment paper. 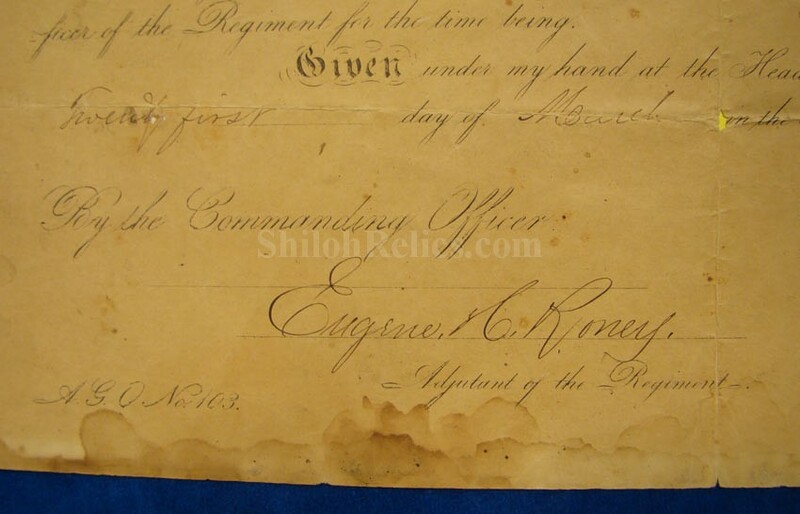 This is the document that promoted a soldier to a higher rank. This one measures 14 1/2 inches wide and stands 10 inches tall. It has the beautiful union Eagle at the top. 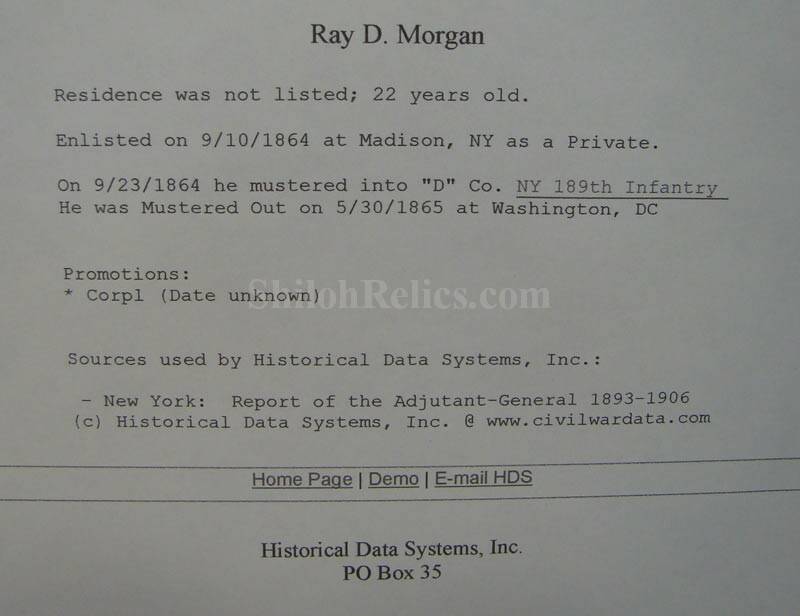 It states that it is promoting Ray D. Morgan to the rank of 5th Corporal in company D of the 189th , New York Volunteer Infantry. 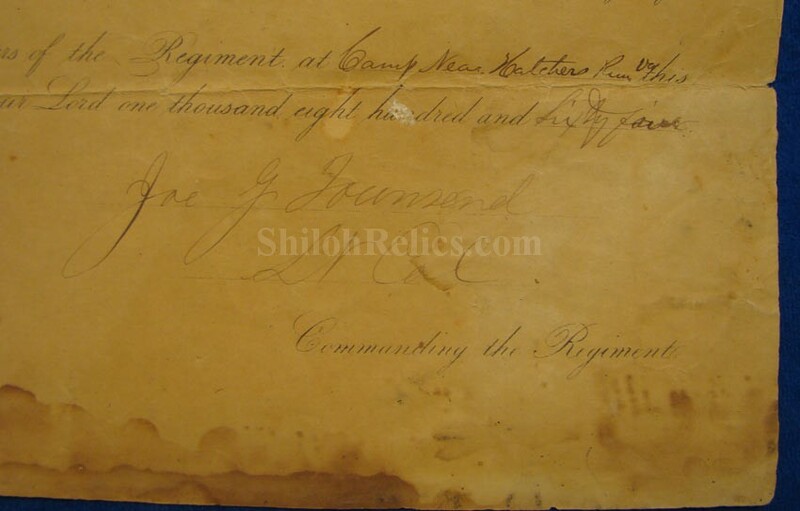 It is signed at the bottom by the Lieutenant Colonel commanding as well as the adjutant of the Regiment. 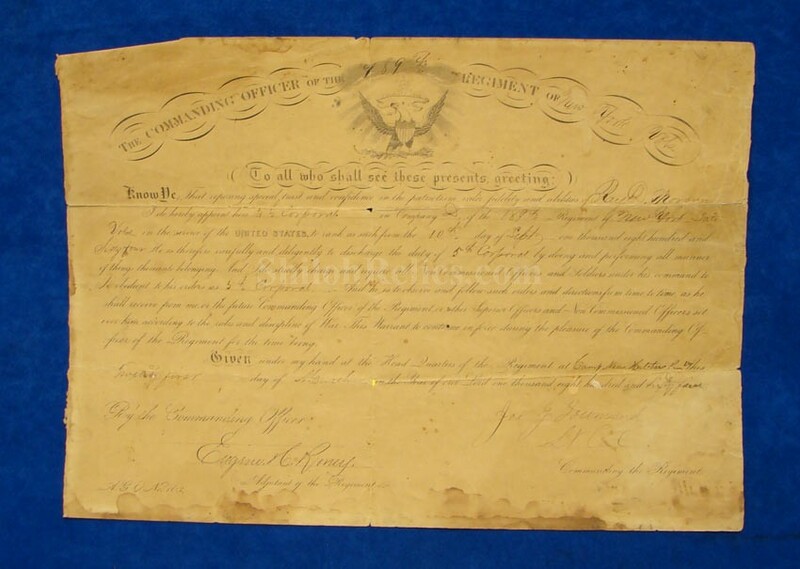 It states that it was given at the headquarters of the Regiment, while in camp near Hatcher's Run, Virginia on March 21, 1865. 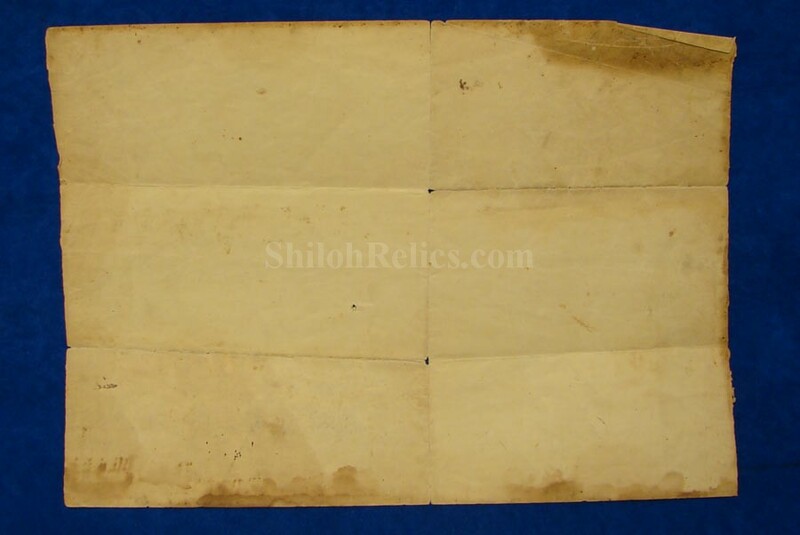 The paper has aged to a very pretty tan Brown color. 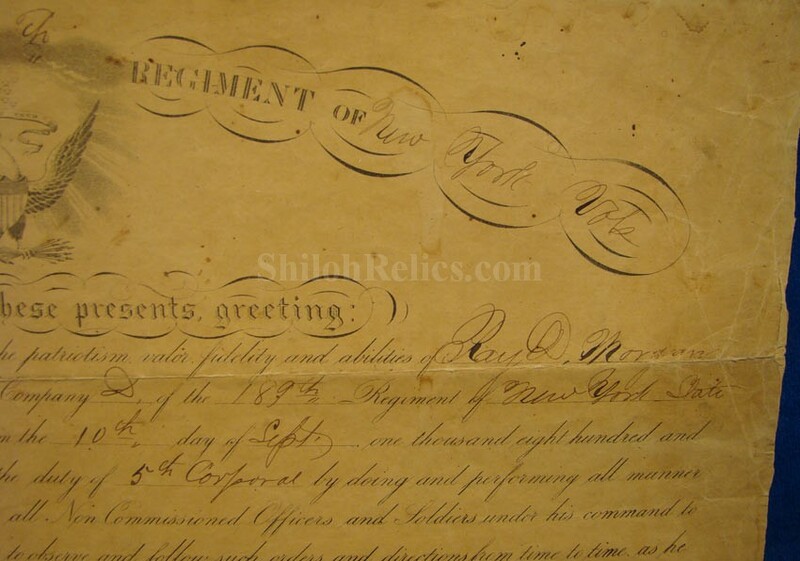 The records show that the 22-year-old Morgan enlisted in the Regiment on September 10, 1864 and served until may 30th 1865. 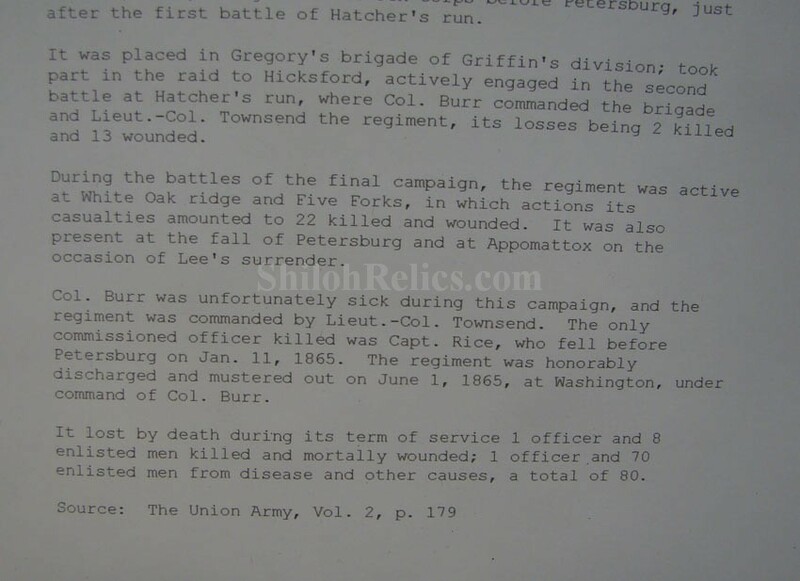 During that time, the Regiment fault at Hatcher's run, White Oak Bridge and 5 Forks and was present at the fall of Petersburg and the surrender at Appomattox. 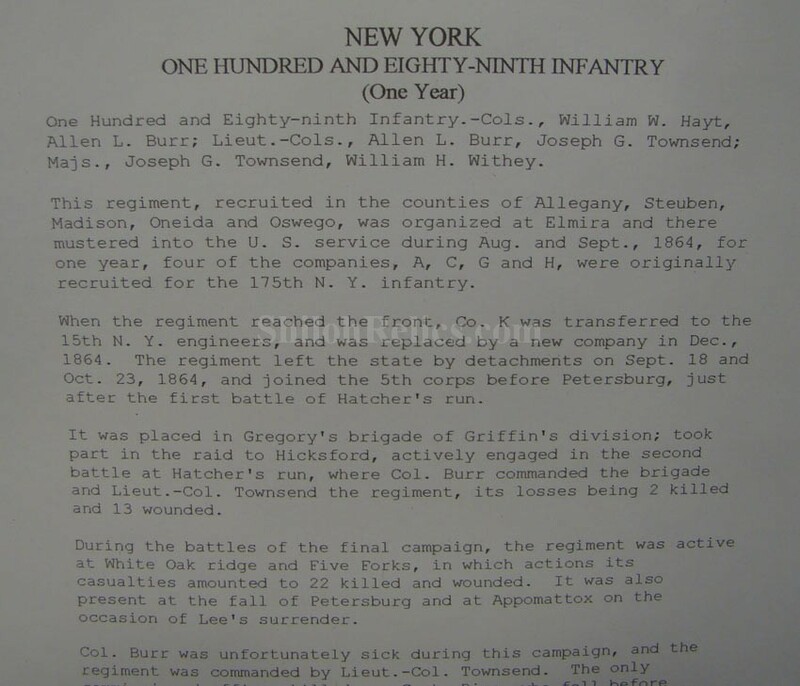 This is a fine original document from New York.